Do you wish to “meow” at the top of voice without making nuisance or splurging huge amount of money, then feel free to go with this customized cat shape bottle opener animal keychain. It is perfect if you wish to acknowledge your fellow cat lovers or promote some feline services or some pet related activities or awareness programs. 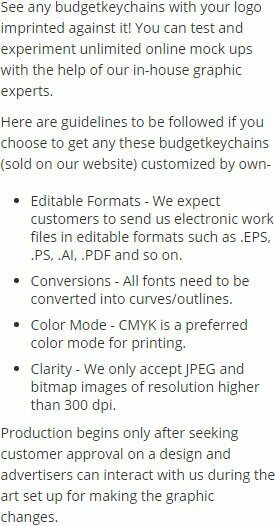 It makes a wonderful gifting choice for small budget marketers because offer many value profits on bulk orders including price savings. It can be availed in many exciting metallic colors to suit your campaign. 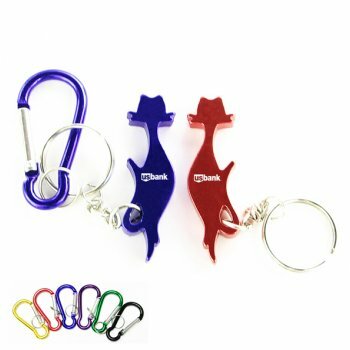 Request a quote to know price savings on promotional cat shape bottle opener keychain. Features – Cat shape bottle opener keychain in aluminum with metallic color finish. Product Size – 2 1/4" x 5/8"
Available Colors - Metallic Blue, Metallic Black, Metallic Gold, Metallic Purple, Metallic Green, Metallic Red and Metallic Silver. Imprint Method – Full Color Process, Laser Engraving, Printed. Imprint Area :1/2" x 1/4"
Product Size :2 1/4" x 5/8"